What I read in 2016, the short list | Open Our Eyes, Lord! I have always been a big reader, but never anything close to my list for 2016. That’s when I began to use the wonderful online group, Goodreads.com, to log the books that I have read, am reading, and want to read. 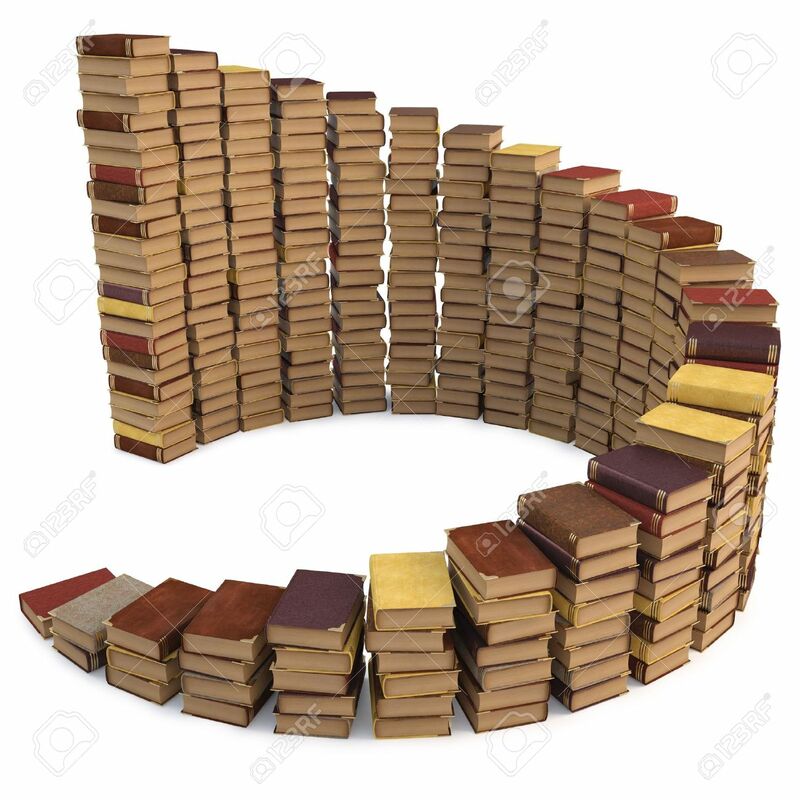 I am up over 1900 books that I have logged as “read” in my lifetime, so far, but I know there are hundreds I cannot remember; I imagine the number should be more like 2500. Over Christmas break 2015 I decided to join their Reading Challenge for 2016, and set a (as it turns out, too ambitious!) personal goal of 150 books/plays this year, including the complete works of Shakespeare, the Koran, and others, let alone material for class prep. Typically I am reading eight books at a clip; some short documents, some long tomes, some Audible recorded books from Amazon. Overall, I read a lot more non-fiction this year than I usually do, although I also read some marvelous fiction. Russian themed. Ivan Turgenev, Fathers and Sons (1862) was excellent. I am about a third of the way through the fictionalized biography of Trotsky by Leonardo Padura, The Man who Loved Dogs. Dostoyevsky, The Idiot (1868-69) is a Christ-allegory. All are available on Kindle. George Orwell beyond 1984 and Animal Farm. I have read 1984 a dozen times since Junior High, and decided I should branch out. Keep the Aspidistra Flying is a novel about the grind of being one of the working poor; Homage to Catalonia is an autobiography of his time fighting on the side of the Spanish Republic and his eventual rejection of Stalinist hypocrisies. Two very different books, both worth your while. 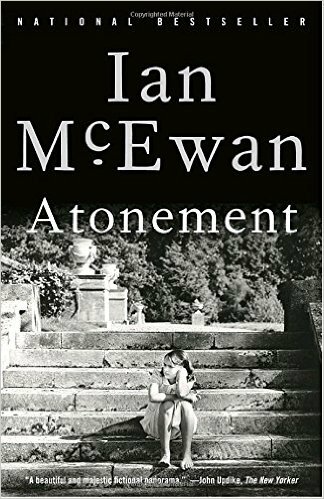 Ian McEwan Books. Mr. McEwan, how come I never found you before now? Atonement, Saturday, The Children Act are the three I read. Atonement is also a fine movie. All deal with people wrestling through moral issues and, particularly in Atonement, seeking and finding redemption. Wonderful, wonderful. Umberto Eco rides again! The Prague Cemetery, not quite as amazing as Foucault’s Pendulum or Name of the Rose, but still worth a read and with the same type of goofy conspiracy paranoia that Foucault chronicles. Race issues in the US. Three amazing titles, all very different. The first was recommended to me by friend Kimberlee – The New Jim Crow: Mass Incarceration in the Age of Colorblindness, by Michelle Alexander, is an in-depth analysis on how the War on Drugs and unbalanced arrest/incarceration rates are destroying African-American culture. Next is The Souls of Black Folk by W. E. B. Du Bois (published 1903). He was not only a razor-sharp observer of life and a careful analyst, he also writes like a poet. And for fun I reread what is (8 out of 10 times you would ask me!) my favorite novel of the 20th century, Invisible Man, by Ralph Ellison (1952). Audible has a recorded version that captures the dialect and raw emotion of the original. Historical Autobiography. Some amazing volumes in this group. Night by the late Elie Wiesel, about surviving a Nazi death camp but losing one’s faith. 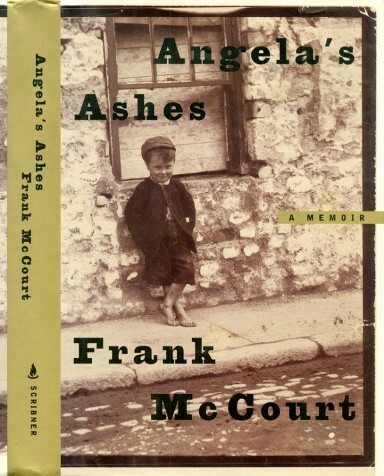 Our son Tim kept telling me I had to read Angela’s Ashes, by Frank McCourt, and he was right: I quickly put his other two books on my To-Read List. The Gypsies by Jan Yoors is about a boy who ran away from home in pre-war Belgium to travel with the Gypsies for years; his account is thought to be one of the best firsthand accounts of Gypsy life. Bible. I read from the Bible every day, working through Psalms and various books and also the Book of Common Prayer. That’s a given, the bottom line. On top of that, I participate in a reading group on Facebook every year. 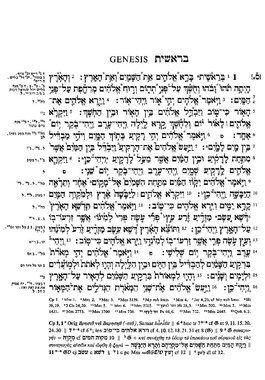 One year it was Isaiah Septuagint in the original Greek; in 2013, the entire New Testament in Greek; 2014 was the Apostolic Fathers in Greek; and 2015-2016 we read the five books of Moses, the Pentateuch, in the original Hebrew. A nice workout! This year we formed the “Peshar” reading circle, in which we are learning and reading ancients texts in Aramaic and in Syriac. Portions of the Old Testament are in Aramaic; Jesus taught in Aramaic, and some of his sayings (Talitha cumi!) are directly taken from that dialect; its kindred dialect Syriac has been the language of the Syrian church for about 1900 years. Theological musings based-on-a-true-story. Put down the Amish Romance novel (imo!) and read the über-dark Silence by Japanese author Shusako Endo (coming out as a Martin Scorsese movie in Jan 2017! ), as a Catholic priest wrestles with the silence of God during severe persecution. The last book on my list for 2016 was a play, A Man for All Seasons, by Robert Bolt. The protagonist is Sir Thomas More, who resists Henry VIII’s first divorce and abides by his conscience even though it led him to losing his head on the chopping block. I saw the play first at the Trinity Repertory Company in Providence, RI, during my sophomore year at high school, directed by Adrian Hall. 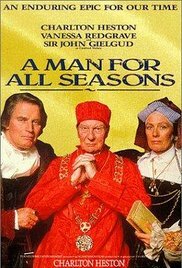 A 1988 TV movie is free to watch and has strong performances by Charlton Heston, Vanessa Redgrave, John Gielgud. Spiritual reflection. If you saw the movie Quiz Show, then Mark Van Doren is the father of Charles, very winsomely portrayed by Paul Scofield. The real-life Mark Van Doren wrote many works, including a broad defense of Liberal Education. His In the Beginning Love: Dialogues on the Bible I had to pick up second-hand, and it’s is on my 2017 list. Thomas Merton, Contemplative Prayer, shows how deep inner prayer leads to forceful action, not passivity. Paul Hilsdale, The Prayers of Saint Paul was a book that in the end did not fulfill my expectations, but he does blaze a path on how a Christian might use Paul’s recorded prayers to shape our own prayer life. Pope Francis, Laudato Si’: On the Care of Our Common Home is an argument for guarding and nourishing – but never worshipping! – our planet. All these books were written by Catholics. On the Protestant side, Markings is an informal diary by UN Secretary General Dag Hammarskjöld, who was, according to JFK, the “greatest statesman of our century.” He died in a plane crash in 1961, on his way to negotiating a peace in Africa. His very active public existence was a direct reflection of his inner Christian life. Public Policy. It is sometimes implied that the Founding Fathers, one and all, created and supported the (second and current) US Constitution of 1787. In fact, the actual history was messier: plenty of leaders rejected or even despised it, including Samuel Adams, Patrick Henry, and others whose names are now forgotten (history is written by the victors!). The Anti-Federalist Papers (Kindle) is a broad collection of their essays, as they picked apart sections of the new constitution, questioned the motives of its authors, and predict tyranny if it was ratified. Well worth a read for people who love the constitution. I also finally read Two Treatises of Government, by John Locke. Locke was an amazing man: not only a thinker of profound thoughts and a huge influence on the (later) Declaration of Independence, but also a writer of crisp, direct, and witty prose. The Essential Marx, compiled by Leon Trotsky, was, well, Marxist, but informative. On the other hand, I have had Ludwig Von Mises on my list for a long time, but found The Essential von Mises, by Murray N. Rothbard, thoroughly unpersuasive. It may be Rothbard’s fault, or Von Mises’s, or both, I do not know. For lack of a better category, I will place Simon Winchester, The Men Who United the States in this group – not his best book (I have read several, and loved his The Professor and the Madman: A Tale of Murder, Insanity, and the Making of the Oxford English Dictionary), but still very interesting, as he shows how water, roads, canals, rail, and other modes of transport helped make the US a united nation. Shakespeare in a Year. I “read” all the works of Shakespeare, including the sonnets, other poems, and the plays he co-wrote. With a bit of effort, I was able to see all but one of the plays (Henry VIII) as they should be seen, “staged,” some as movies and some as local productions uploaded on YouTube. I watched them in roughly chronological order, which was enlightening in itself, as you can see Shakespeare evolving from year to year. Included in the list were the 15 or so I had already read or seen. Favorite: Hamlet, always Hamlet (this time through I watched the 1980 BBC version with a fine performance by Derek Jabobi). Also Macbeth, King Lear, and Antony and Cleopatra. Least Favorite: Probably Troilus and Cressida, but I need to watch it again, and in a better production. Biggest Surprise: the historical plays were much more gripping than I would have expected. Canadian television TVO (TV Ontario) did the whole War of the Roses cycle, a really nice production, and it’s available on YouTube. Worst Culture Shock: The Merchant of Venice (with Al Pacino as Shylock!) was a great production, but (as I had recalled from high school) plenty of anti-Semitism. Women in Shakespeare: Some plays had strong women (Rosalind, Cleopatra, Lady Macbeth), whereas most female characters were forgettable. Interesting to see that in many local productions, male characters were played by women (for example, “Two Noble Kinsmen” by the St Louis company), and Helen Mirren played the protagonist as “Prospera” in The Tempest (in the same production, Felicity Jones – “Jyn Erso” in Rogue One – plays Miranda). Most Fun Fact: I now realize that the dialogue at the end of “I Am the Walrus” is taken from King Lear, Act IV (“serviceable villain.” “Is he dead? Sit you down father, rest you,” etc.). Second Most Fun Fact: Derek Jacobi played Hamlet in the 1980 BBC production; he played Hamlet’s step-father Claudius in Kenneth Branagh’s 1996 production; and he played another Claudius in BBC’s “I, Claudius.” A good turn in all three roles. Each play is about 2.5 hours, to see all 37 plays and read the poems, you would need roughly 75 hours. Not much if spread out over a year or two! Started not finished. If a book hasn’t clicked with me after 20 pages, I feel entirely free to bail: Life is short, and the reading list keeps growing apace, so be worthwhile or step aside! In this category, the “winner” for 2016 was Burroughs, Naked Lunch, which was the worst gross-out I’ve read in a long time – and I’m not squeamish by nature. Wharton’s Ethan Frome is probably the most subtly horrifying book I’ve ever read – I’ve been wary of sleds ever since. Classic Books. Those books every reader should have under his belt, but I only got to them this year. Some are long: Canterbury Tales. Some are really long: Proust, Swann’s Way and Within a Budding Grove. 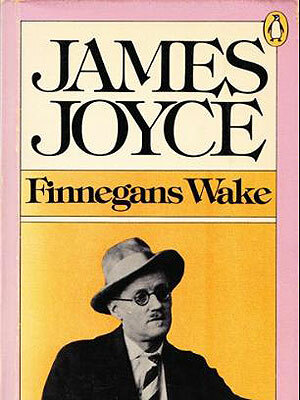 Some are shortish, but heavy going: James Joyce, Finnegan’s Wake, the only major book of his that I hadn’t read and reread. I did all of these as recorded books. I read the hard copy of Virgil’s, The Aeneid, the gripping Fagels version. Koran. I have written a full blog entry on my impressions of the Koran, inexpert though they be, which I read through for the first time in April (the Penguin edition is recorded book from Audible). A few people seemed taken aback that I had it on my list. In part I was bouncing off the sentiment found on the back of Jihad Watch’s Robert Spencer, The Complete Infidel’s Guide to the Koran: “I read the Koran so you don’t have to.” (Goodness, what’s next? I have read the US Constitution, so you lawmakers don’t have to? I listened to Beethoven’s Seventh, so you don’t have to? Seriously?!) Spencer has written all kinds of books to explain Islam, or rather, put his own spin on it. I wrote: “if I will opine that the Koran is right, wrong, or indifferent, I feel I should have at least a basic, first-hand awareness of what it actually says.” In my blog, I explore various issues, such as the Koran’s relationship to Judaism and Christianity, the role of hermeneutics in the study of any religious text, and the theme of jihad. In addition, I read Thomas Jefferson’s Qu’ran: Islam and the Founder, by Denise Spellberg. This is an important and painstaking study, really a lot more information than I needed and with a decided pro-Islam agenda, but which proves conclusively that Jefferson believed that freedom of religion is an absolute, even to the extent of the hypothetical election of a Muslim president. Jefferson’s view would be controversial even in 2016. Theology. Some of these books I should have read when they were first published, but there it is. Plenty in this category, but I’ll mention a few standouts – Two Views on Women in Ministry; Alister McGrath, Why God Won’t Go Away: Is the New Atheism Running on Empty? ; Fitzmyer, The Impact of the Dead Sea Scrolls; Athanasius, On the Incarnation; The Life of David Brainerd; Richard Niebuhr, The Kingdom of God in America; Francis Chan, The Forgotten God; Christopher Wright, The Mission of God; Four Views on the Historical Adam, edited by Lamoureux; and my favorite commentaries this year: Gospel of Mark (NIGTC) by R. T. France; The Pastoral Epistles (ICC), by I. Howard Marshall; two Christian scholars who are sorely missed. The three books I would recommend, if I am limited to just three. In non-fiction, Angela’s Ashes by McCourt; in fiction, Atonement, by McEwan; in spirituality, Life of David Brainerd. All are very readable. And what’s to come in 2017? I just signed up for Goodreads’s 2017 challenge. My goal will be 125 books, including all the extant plays from Ancient Greece (I have just read Aeschylus’s The Persians); some of them are available free on YouTube. On deck is a luxurious two-volume running commentary on the ancient Indian text, the Bhagavad Gita, a gift from a dear Hindu friend. I will also be reading another play, The Marriage of Wit and Science, written by one Francis Marbury in 1570; the work is almost completely unavailable and I have just finished scanning an edition that I finally managed to locate. It interests me, since Marbury is an ancestor of mine on my mother’s side (11th great-grandfather), a Puritan leader who did jail time for doing outdoor preaching in London and who also wrote poetry; he is mostly known today for being the father of Anne Hutchinson. He is said to be an influence on Shakespeare. Lots of good book ideas here! Thanks, Gary. I plan to investigate your final three suggestions. One question for starters. When do you sleep? While searching for your profile at GoodReads I found two. Is one for Spanish material and the other for English? I managed to read about 30 books this year, and hope to match or exceed that number in 2017. I haven’t been posting reviews, so from now on I am trying to write at least a few paragraphs on each book, if for no other reason than to reflect on its value and remind myself of highlights. Hi Curtis, always great to hear from you! I usually read an hour or so before bedtime, and I listen to Audible books when I walk, at least a half-hour a day. Shakespeare’s plays I watched instead of movies! I think I need to do the same, write up some notes, because I’m reading a lot of books and I need to keep better track. I might have two Goodreads pages, but neither of them are public. Could you see what books I read?